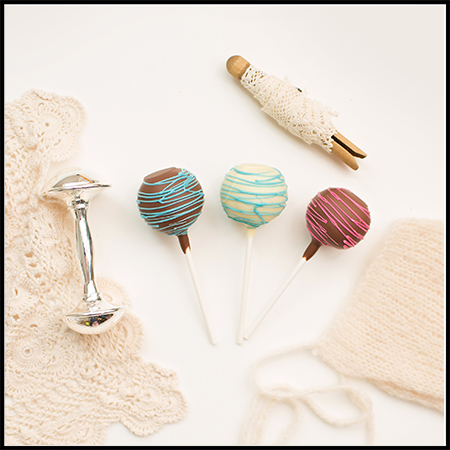 A delicious alternative to cake at your baby shower or other special event, our homemade cake pops are made by our pastry staff at Graham’s 318 Coffeehouse, just two doors down from our chocolate shop. 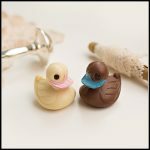 Available in either vanilla, chocolate or red velvet cake, the pops are then dipped in our luscious Graham’s Chocolate and hand decorated. Drizzle them with a colored chocolate of your choice. Pricing starts at $1.98 or $2.49 (bagged & bowed). Throwing a gender reveal party? Ask us about dyeing the vanilla cake pink or blue at no extra charge!